Keep the little ones toes warm! 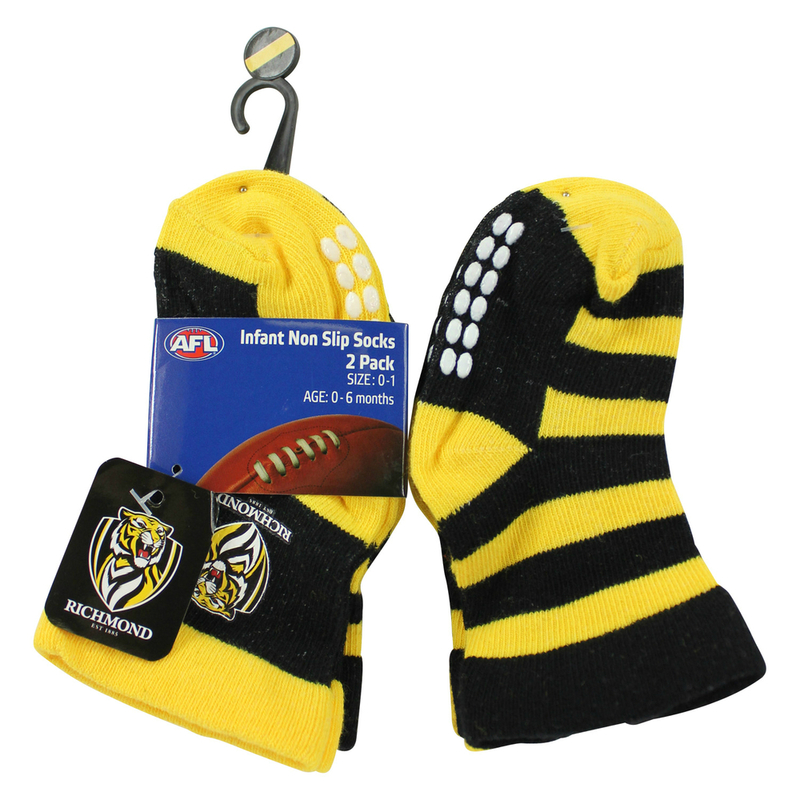 Keep those cute little toes nice & warm with these Richmond Tigers Infants Socks. There are two pairs of socks to a pack - one pair has the clubs Mascot on them, while the other pair is adorned in the club colours. Both set of socks feature non slip soles so bubs has some grip when you stand him or her up. Made from a cotton/nylon/elastane blend.